‘Lectronic Latitude rocks it with youth on Nacra 15s in 30k!!! Hats off to Latitude 38. This S.F. rag posted this article about youth teams on Nacra 15s in 30k!! Yee haw! Included Nick Lovell (Johnny’s boy from Olympic Tornado fame in the 90’s). This stuff pumps me up. The photos are awesome!! 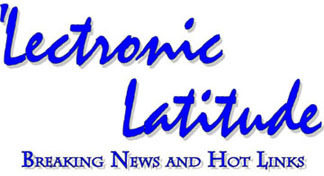 to receive emails when ‘Lectronic Latitude is updated. On Monday’s ‘Lectronic Latitude, we asked the West Coast about their weekend. Last Saturday in San Francisco, we had gnarly, gale-force winds offering both glory and carnage for sailors. In response to our query, Kimball Livingston wrote the following subject-line-only email: “We sailed teenagers on Nacras on Saturday. All day.” Intrigued, we asked for pictures. Local Nacra 15 sailors Jack Sutter (helming) and Charlotte Versavel — both of whom are 15 years old — looked pretty comfortable in last weekend’s big winds. As it turns out, there was a Nacra 15 clinic held at St. Francis Yacht Club last weekend with juniors from around the country. Local boats included sailors Jack Sutter and Charlotte Versavel, as well as Hoel Menard and Cali Salinas. Coach Bryan Paine photographed all the action. Nick Lovell — the 13-year-old son of Tornado silver medalist Johnny Lovell — sends his bows deep. Sutter and Versavel (crewing) out on the trapezes and lookin’ good. “Here are Hoel Menard and Cali Salinas, sending it,” Kimball wrote us.